and make your relationship great? Do you feel a lot of RESENTMENT, frustration or anger towards your partner? Are you trying to get past an affair? Are you questioning if it's even possible to get your relationship on-track? but generally make things even worse instead! It's a conundrum because the more people do things to try to fix their relationship, the worse their relationship often feels. And the worse their relationship feels, the more compelled they feel to try to fix it. But because they don't know what they CAN do that will actually help their relationship, they keep doing these same types of things. And these things, which they are doing to make their relationship better, actually end up making their relationship—and their ability to get past their issues—even worse instead. Does this sound at all familiar to you and your relationship or marriage? If it does, don't worry, there are definitely things that you CAN do, that WILL work to turn things around. And that's what I'm going to show you. 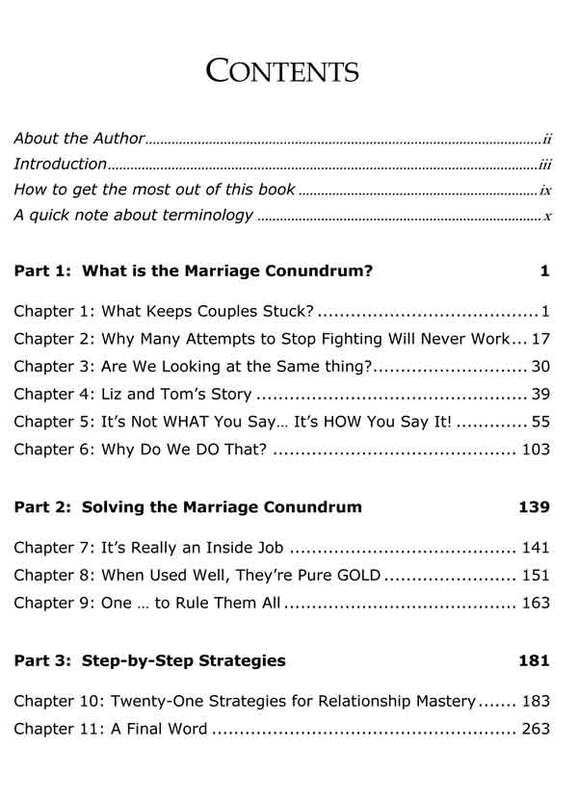 In my book: "Solving The Marriage Conundrum: The REAL Reason Why Couples Fight... and How to STOP! 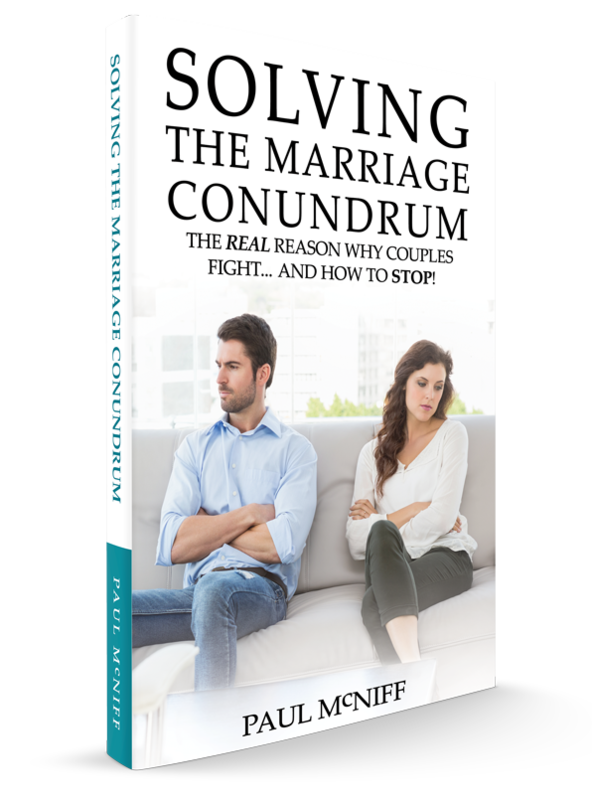 ", I'll show you a powerful approach that I've been using with couples that has been getting remarkable results—stopping this conundrum in its tracks. My approach, which includes 21 powerful, step-by-step strategies, will show you EXACTLY what you need to do (and say), so you can completely transform your relationship. And believe me; this approach will show you how to stop fighting and stop struggling—once and for all—even if your partner isn't prepared to work on it with you... and even if your partner won't admit that there's anything wrong. So no matter how your relationship might be right now, let me tell you; that's all about to change! EXACTLY what you need to do to take back your power, get past the issues from the past... and fix things in your relationship-once and for all! So where can you buy the book? Please note that I cannot control the price that these retailers charge for the book. They might discount the book price at their own discretion, which is completely out of my control. And that means that not only might different sites show different prices, but these prices are all subject to change.